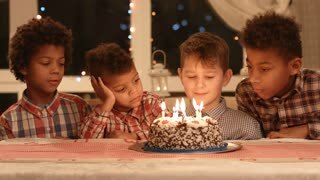 Search Results for "waiter serving birthday cake to friends group"
Waiter is serving a big pizza to the table with group of friends. They are very happy and want to eat. Friendly waiter in apron is serving drinks cups to young people socializing in cafe sitting at table. 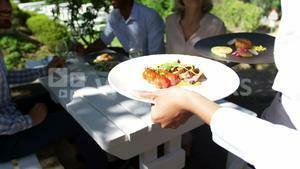 Food and drinks industry, eating out, meeting friends and friendship concept. Shot from behind of a waiter serving big pizza to the table of a adult friends indoor. They are happy and ready to eat. Waiter Serves Delicious Pizza to a Diverse Group Of Hungry and Happy Friends. They Eat, Drink and Have Fun in this Stylish Looking Bar. Shot on RED EPIC-W 8K Helium Cinema Camera. Group of Friend surpise beautiful woman for her birthday and celebrate together at night pub. Happy smiling asian girl blowing candles with her Birthday cake. 4k resolution. Waiter serving table on evening diner for the group of people. DONETSK, UKRAINE - OCTOBER 1, 2017: A group of waiters serve many tables at a banquet in a restaurant. 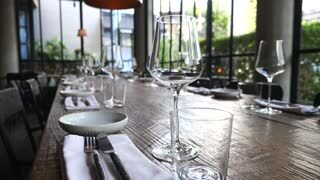 Empty Glasses, Plates, Forks, Knives Serving For Dinner In Restaurant. Table Layout. Serving. 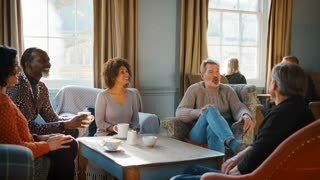 Group of multiethnic friends enjoying cafe culture and relaxing over tea and coffee. A colourful and busy restaurant serving happy customers. Friendly male waiter is taking order from cheerful group of friends sitting at table in cafe and talking. 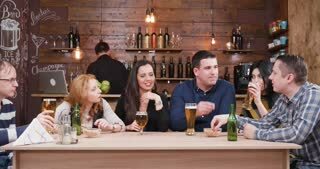 Eating out, food and drink industry and friendship concept. 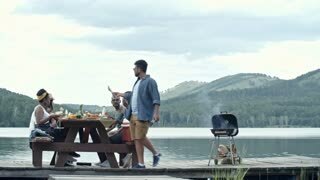 Male waiter delivers a burger, french fries and vegetables meal to a group of friends, co-workers on lunch break. Diversity, multi-ethnic, White Caucasian and African American. 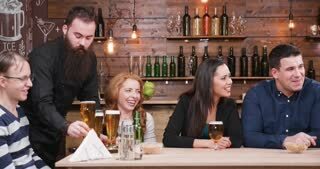 Men friends group with beer, smiling waiter or bartender at pub bar 4k video.